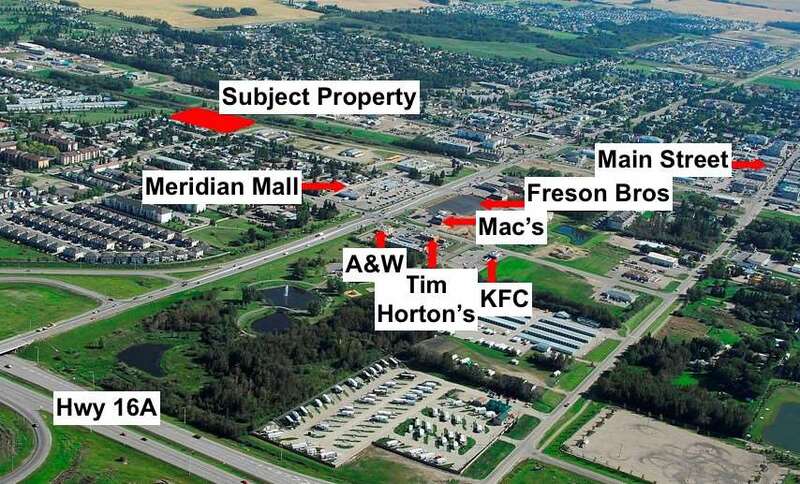 2.407 acres located in the town of Stony Plain walking distance from Meridian Mall, 24 hour Freson Bros grocery store, mac's, KFC, Tim Horton's, A&W and other retail businesses! Excellent location with Hwy 16A's close proximity you'll be able to get in and out of town quickly! 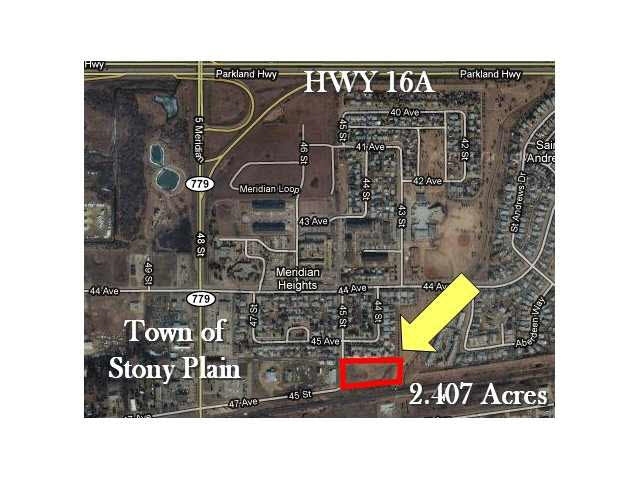 This bareland property is zoned R6 with possibility for building high density buildings, with some previous testings and drawings available. The property is surrounded by single family homes and next to green space.